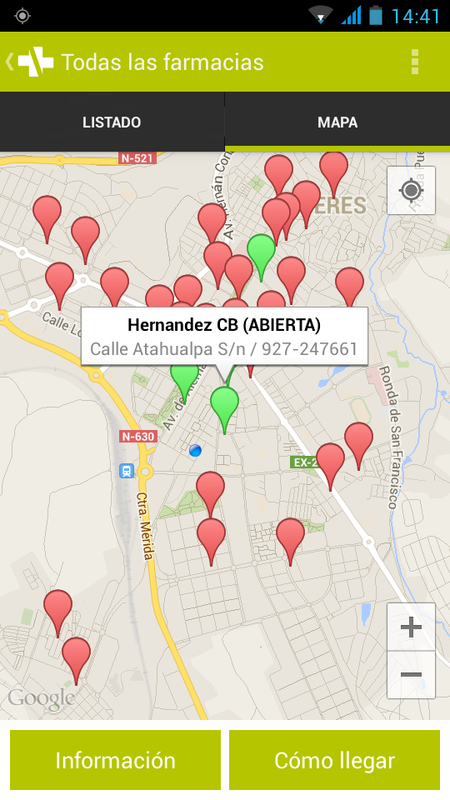 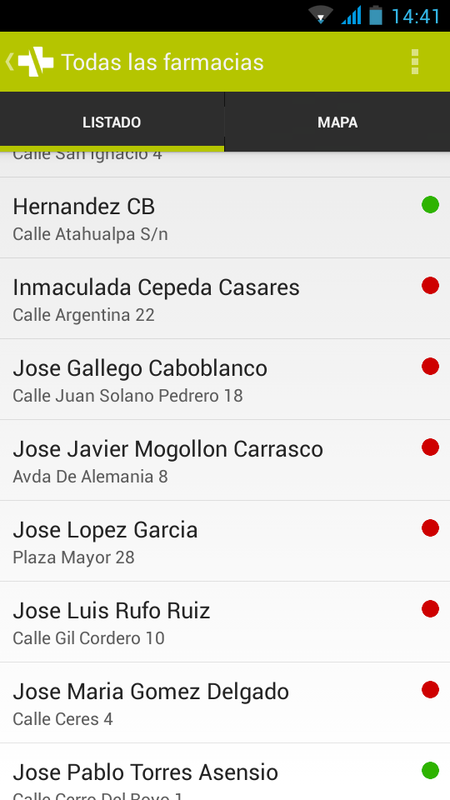 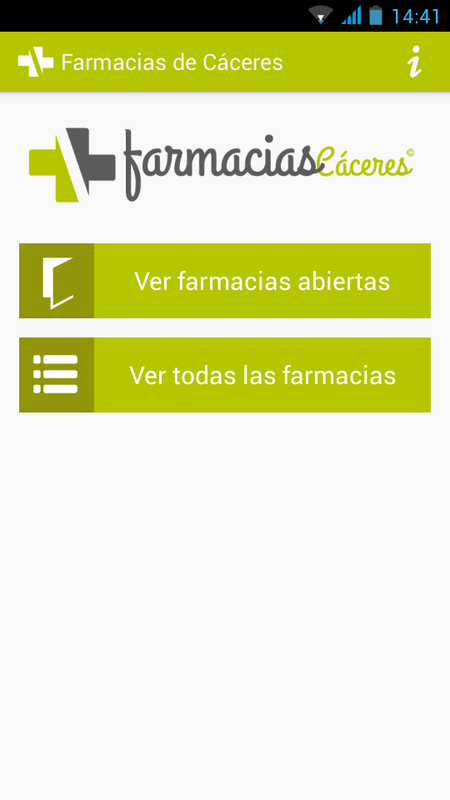 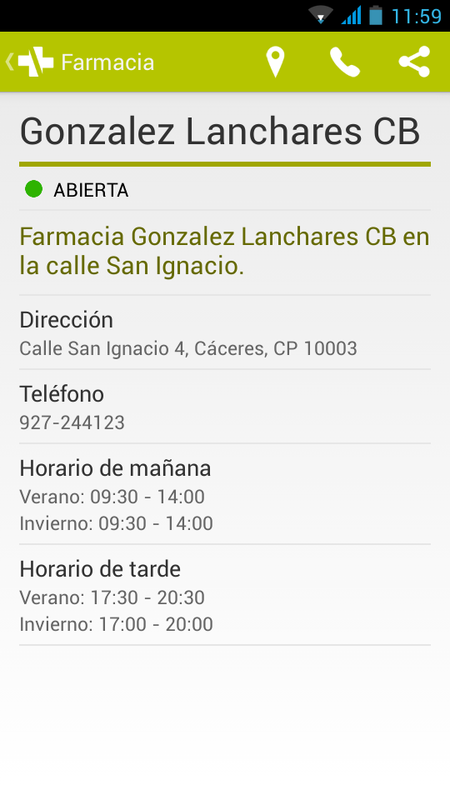 This Android application shows the user all the open and closed pharmacies of the city of Cáceres (Spain) at any given time. 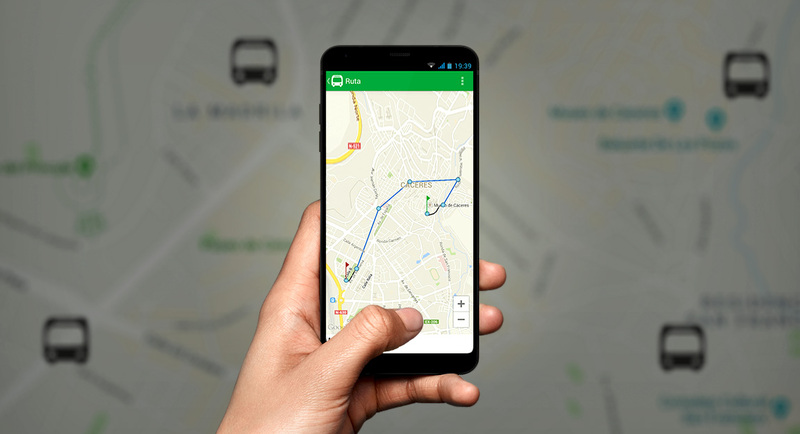 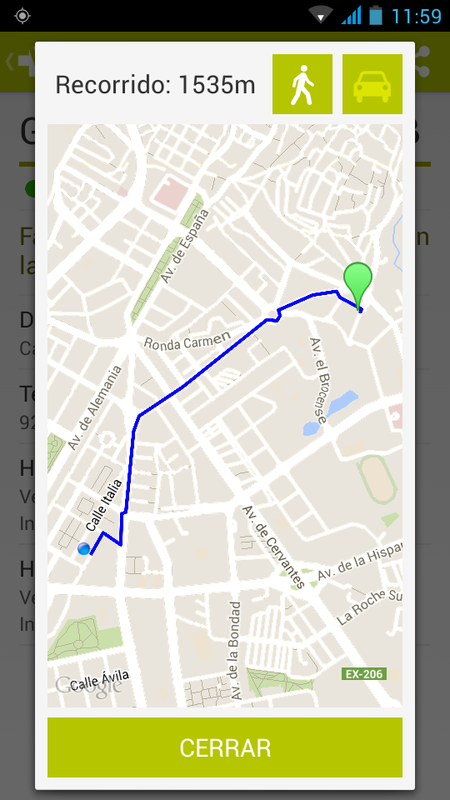 It displays them in a map and even provides the route to get to the closest open one. 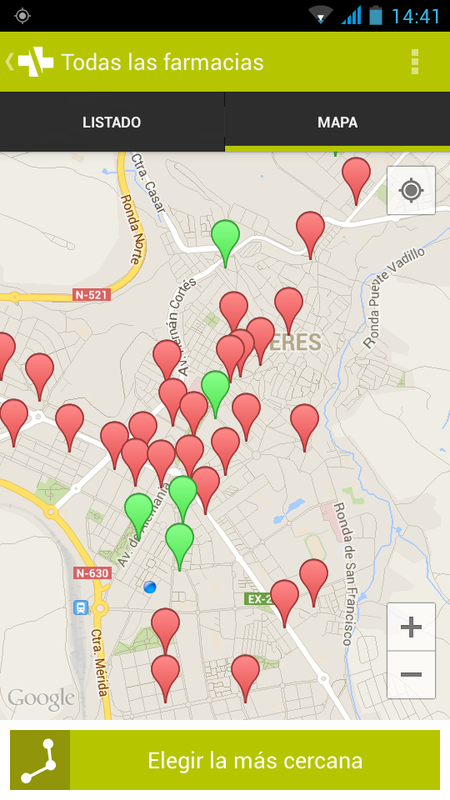 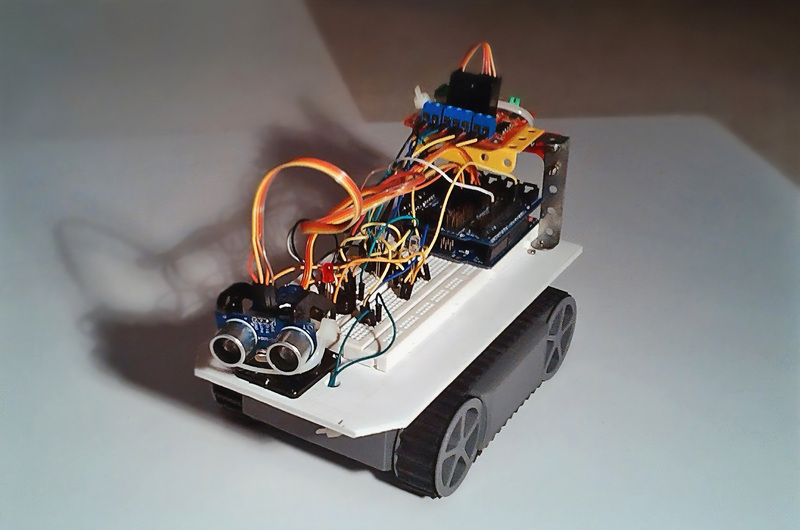 I created it making use of the Open Data service offered by the Council of Cáceres, and soon after its creation a local newspaper interviewed me and featured the application.